Few things remind me more of my childhood than thick, heavy, depression glass. When I was young I had no idea it was something special but I definitely remember seeing it in my grandmother's home as well as the home of many of my great aunts and uncles. The story of Depression Glass is quite interesting. Depression glass is so named because it was made in the United States primarily during the Great Depression — from the middle 1920s through the 1930s. Although the majority of depression glass patterns were made in crystal, colored glass enventually became very popular. In order of their popularity, the top depression glass colors were: pink, green, amber-yellow, cobalt-blue, red-ruby, black, and amethyst. The during its day the glass was oftentimes viewed to be “cheap” or “poor” glass because it was mass manufactured by machine, and often given away as a premium or promotional gift for buying a certain product. It was also used as an incentive gift to get people to buy at a local store, and often could be acquired by saving coupons off of purchases. There are many patterns that were manufactured to contain all pieces needed for a full dinner service including dinner, salad and bread plates as well as cake plates, butter dishes, serving bowls, etc. 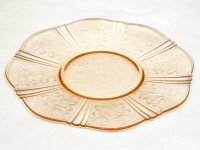 Beginning in the late 1960's American's began collecting depression glass. Since that time the value has continued to rise. I have been collecting pink depression glass for a few months now. I am planning to create an amazing French dessert station at my party. 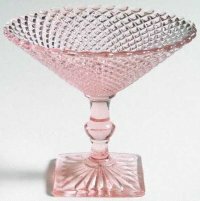 To make it extra special I will be serving the french delectables on beautiful pink depression glass. Some of my favorite patterns include American Sweethear, Miss America and Rose of Sharon. I decided to mix and match patterns because I think it will create more interest. How appropriate that my vintage Parisian wedding party will include some truly vintage serving pieces straight out of history. 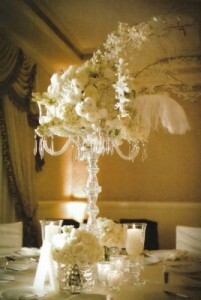 Lately I have been perusing websites, magazines and department stores for the perfect centerpiece inspiration. My aunt Hilda will be creating the arrangement for me. She is our families floral designer and I am delighted to have her be a apart of our wedding. The centerpiece will be placed on the buffet/sideboard located in our formal dining room. We have 10 foot ceilings on the main level so I am not afraid to add height. 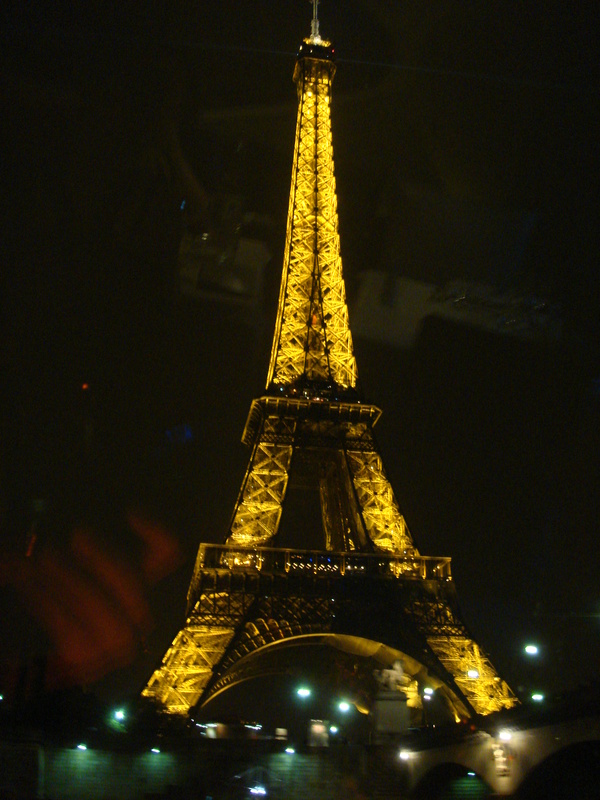 Our party will have a vintage paris theme and it is important that all of our decorations work to create that feeling. 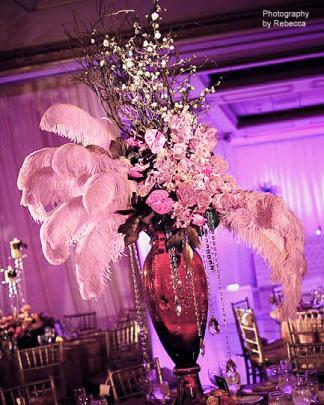 The centerpiece should be chic, vintage, over-the-top...stunning. After searching for quite some time I have found a couple of examples I would like Hilda to use as inspiration while she works to create this masterpiece. It should include ostrich plumes, dangling crystals and or pearls, large, pink, vintage blooms, a wonderful vase. I love the asymmetry of these arrangements. They are so perfect! 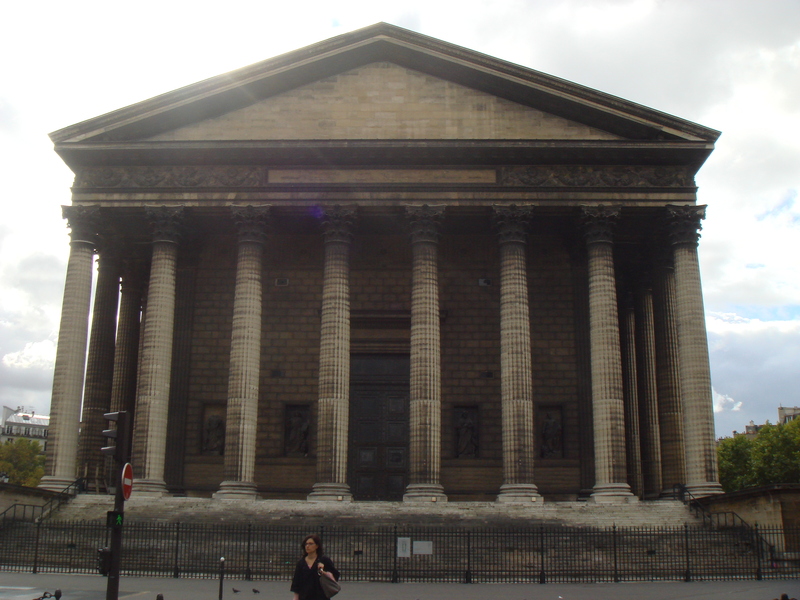 While visiting Paris in October I had the pleasure of experiencing a French Wine Tasting. My wedding planner and I had discussed my dream to find the perfect French wine to serve at my wedding party back in Raleigh. We talked about the types of wine I prefer and we were off to find just the right one. In talking with a very knowlegeable Sommelier I was introduced to a new wine. The wine is called Pomerol. Pomerol is a fantastic wine grown in the ancient and excellent, in terms of wine making, scenery and pedigree, Bordeaux region of France. 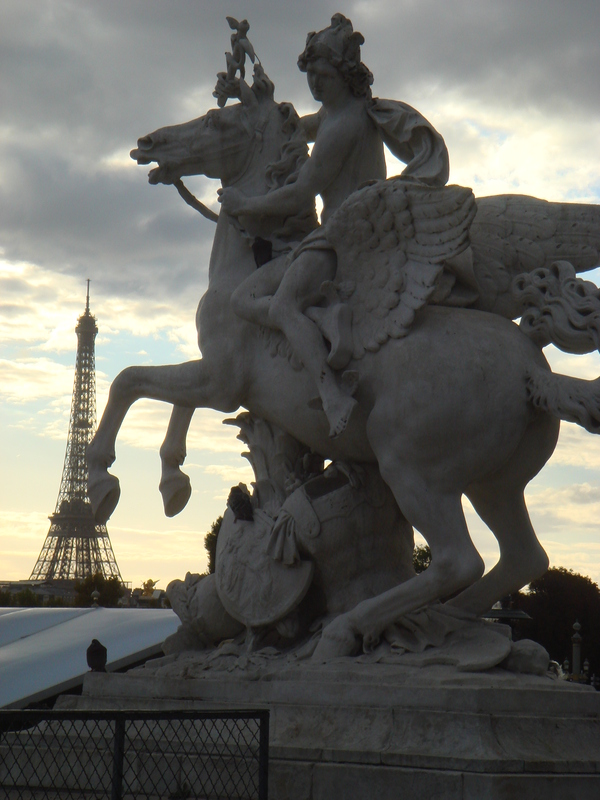 Bordeaux is located in the South West of France close to the coast and the premier wine trading port of Bordeaux. 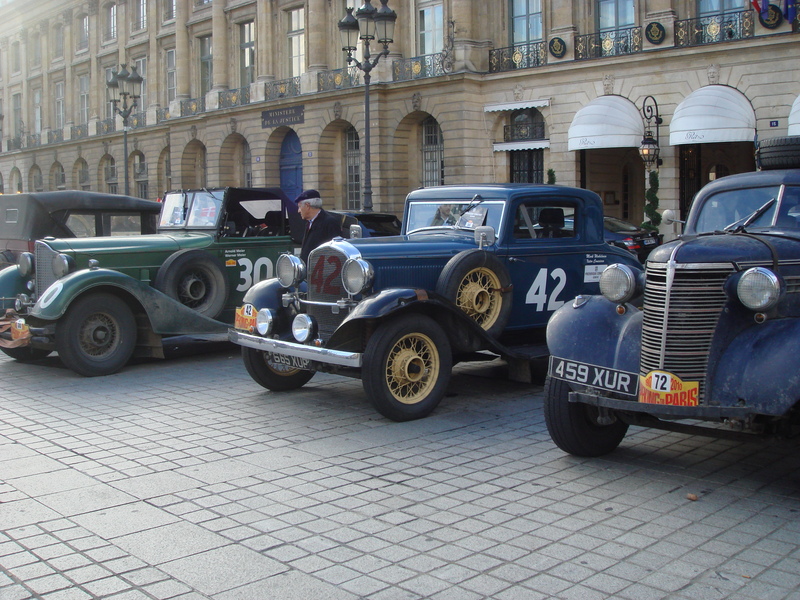 Bordeaux is the largest 'good vintage' district in the world. Pomerol is one of the best of the red wine 'appellations' (wine growing areas) within the Bordeaux district. Pomerol lies about 25 miles to the east of Bordeaux. Along the banks of the beautiful Dordogne River. The area is practically exclusively given over to wine production. There is no real village center in Pomerol just scattered Chateauxs and vineyards. Chateau's are the term used for vineyards in Bordeaux and each chateau can produce between 10 to 1000 barrels of wine. These Chateaus are not always large houses, some of them, particularly in the Pomerol area are just everyday houses but it is the name given to the produce of an individual vineyard producing wine in the area. Bordeaux wines are not usually ready to drink for at least two years after the wine has been bottled, and sometimes they are not ready for twenty years. 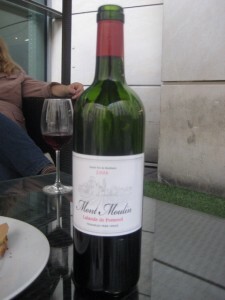 We were presented with a bottle of Moulin la Gravière, Mont Moulin, 2006 LaLande de Pomerol. We were instructed to give it a few moments to breathe and then take a nice sip. WOW – what a wonderful wine. It is rich and gentle, deep red in color, but not too acidic. It also did not have alot of tannin. It is just one of the nicest red wines I have ever had the pleasure of drinking. So, we spent a couple of hours sipping wine, eating cheese, crackers, salmon and foie gras and then I purchased 18 bottles to share with my family and friends. Yes, I safely flew across the Atlantic with 18 bottles of some of the best Bordeaux has to offer, passed US customs and now the bottles sit in wait for our magnificent party. I love that I was able to bring a real taste of France back to Raleigh to share with those I love the most!